It is our third year at the Tri-Star Soccer Camp at Beaver. Love it! Lorenzo runs a great camp and can't say enough about how much we love it! It is safe, professional, organized and lots of fun. Many of coaches play soccer at college level and really interact with the kids. Grab your cleats, because it’s go time. For over 20 years, Tri-Star Soccer has made the game exciting and memorable for boys and girls of all ages and athletic abilities. Morning sessions will get your child’s blood pumping as he or she practices basic skills including shooting, passing, dribbling, heading and more. And in the afternoon—shin guards on and in place—campers challenge each other in serious tactical play. To help hone your child’s skills, Tri-Star’s staff is made up of highly qualified college and high school coaches and college players. In addition to professional-caliber guidance and ample playing time on the fields, your son or daughter will have the option of a free swim every afternoon in our heated outdoor pools. And, that, in soccer lingo, is what we call a hat trick. Our half-day soccer program is designed to deliver a whole lot of fun and help your child find his or her footing on the field. Campers will spend their mornings shooting, passing and dribbling in games and drills, as our all-star coaches coach help them develop their soccer skills. Then, it’s time for lunch and free swim before they head home at 1 pm. Want more camp? You’ve got it. 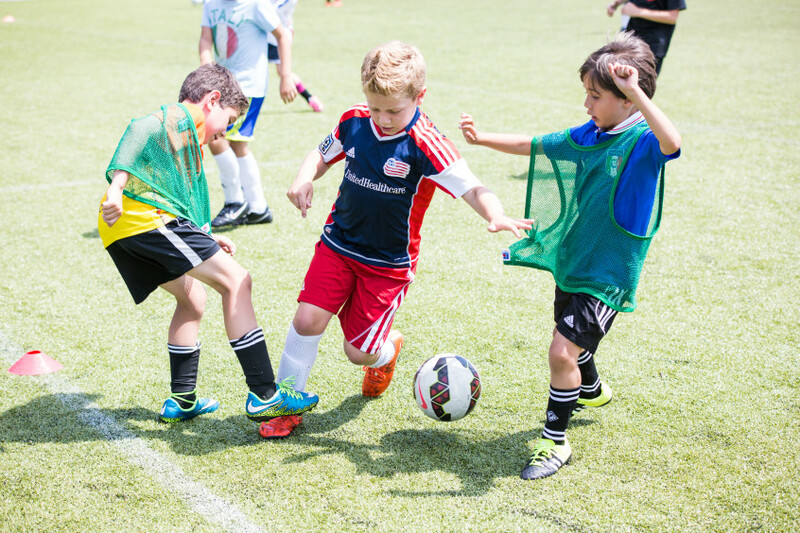 Our Extended Day programs are available to all Tri-Star Soccer Campers for an additional fee. Enroll by the week or the day; whatever works best for you. For more info, click here.